The City of Kenmore recently hosted the SR 522/NE 145th Bus Rapid Transit project's final quarterly Elected Leadership Group (ELG) meeting during Phase 1. The Leadership Group includes Shoreline Mayor Will Hall and Lake Forest Park Mayor Jeff Johnson. A huge thank you to participating members of the public and representatives from Bothell, Kenmore, Lake Forest Park, Seattle, Shoreline, Woodville, and the Washington State Department of Transportation. The ELG representatives regularly review and discuss project information, public input and make recommendations to Sound Transit. The meeting allowed us to present updates on transit integration, community outreach and the upcoming conceptual engineering and environmental review process. 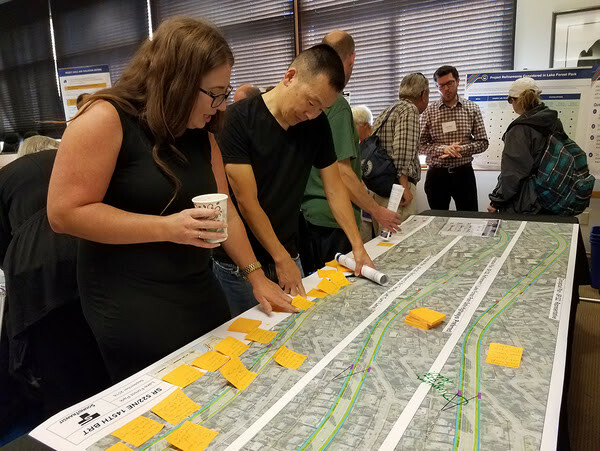 Between January 28 – February 11, Sound Transit held two in-person drop-in sessions and an online open house where we gathered over 200 community comments from nearly 1,000 visitors. 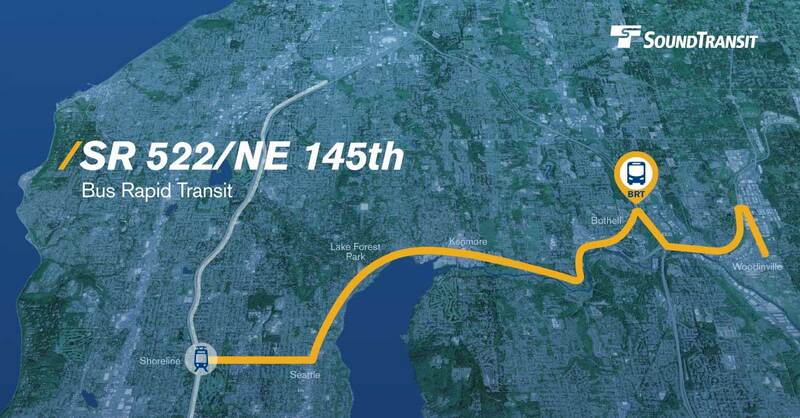 The project team will present the refined project to the Sound Transit System Expansion Committee on April 19, 2019 and look to begin Phase 2, conceptual engineering and environmental review. This differs slightly from the March 2019 timeframe that was previously communicated. Conceptual Engineering and Environmental Review is anticipated to begin in the spring of 2019 and should last approximately one year. Ongoing outreach and communications will continue with property owners, stakeholders and the general public. Members of the ELG will continue to meet during Phase 2 of the project. Watch for future project updates and subscribe to stay informed.